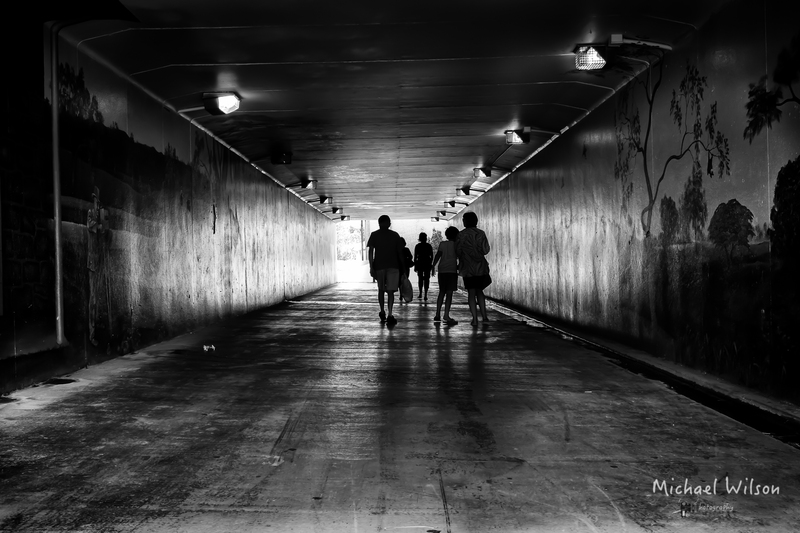 A trip to Queensland to catch up with Family,we came across this tunnel leading under the road to Helensvale Plaza. I could not resist this shot as everyone walked through the tunnel, there was light coming through the end and it created a great silhouette. This entry was posted in Photography and tagged Australia, black & white, Family, Gold Coast, Helena White, Helensvale, Helensvale Plaza, Lightroom, Monochrome, People, Photography, Queensland, Street Photography. Bookmark the permalink. Know it well Mike…..great shot!